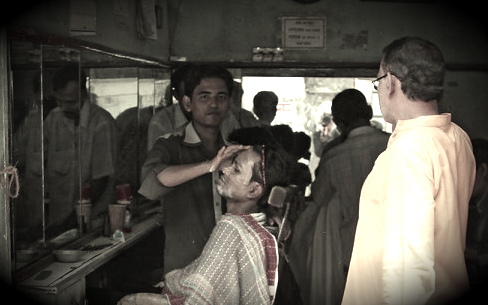 Roadside barbershop in Dhaka, Bangladesh. Photo by Cookiesound.com. Barbershops scare me. This is quite obvious if you look at photos of me over the past decade, or even more so if you are familiar with my grooming habits, which are practically non-existent. I have always opted for the path of the Jeff Lebowskis, Grizzly Adams, and Cousin Its of the world, who prefer to view root canals as preferable to the cutting of hair — be it on one’s head, face, armpits, or other hirsute areas on the human male body where evolution has been slow to fully eradicate. I usually give into my senses and eventually let somebody hack away at my ever-greying locks. This is done almost entirely to save my better half the embarrassment of being wed to a modern day neanderthal. 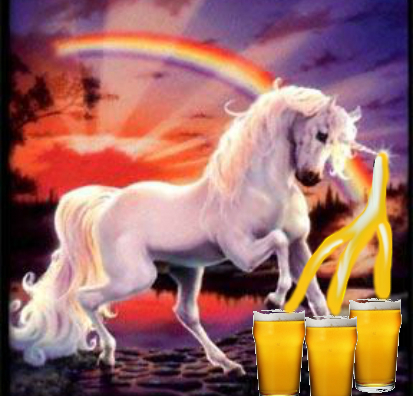 But for me, finding a satisfactory haircut equates to witnessing a glistening unicorn prance down Lollipop Lane while dispensing fresh pints of ice cold IPA from its magical horn. Not impossible, but not all too common either. More common than a good haircut. My distrust in hair cutteries goes back as far as I can remember. Growing up, it was always good ol’ Mom wielding the shears and clippers to keep her boys’ hair at acceptable length. When she wasn’t working her magic behind the chair, it was either myself or my brothers laying waste to my head in the form of closely shaved sides coupled with a jheri curl mullet in the back. This was fine as an awkward teenager, but as an overweight married man and father of one, it has become too difficult to pull off this approach. I began to pay so-called professionals to butcher my hairdo time and time again, ruing the laws of nature that inexplicably allow one’s hair to grow throughout their lifetime. 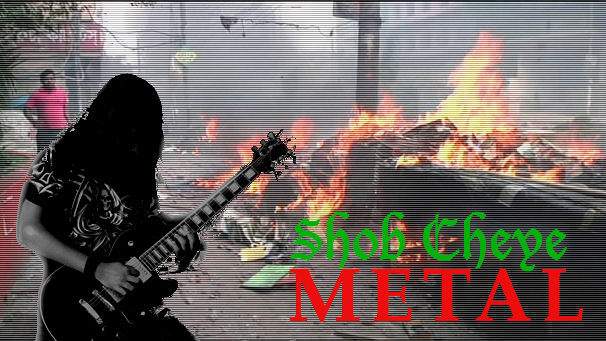 Shob cheye metal. For those of you who are neophytes to the Bengali language (i.e., anybody who is reading this outside of Bangladesh), the headline translates roughly to “more metal than all.” Why is this, you ask? At the end of the long and winding trail that brought my family and I back to Bangladesh, I am pleased to report that heavy metal music is alive and well in the soul of Bengal. Contrary to what English speakers of planet Earth or dogmatic adherents of monotheistic religions may believe, music is often referred to as the universal language that binds us and brings us together in unfettered harmony and happiness. Nowhere does this sentiment ring truer than among heavy metal aficionados throughout the world, where mere 64th notes, guitar squeals, and blast beats coalesce into a community of initiates who proudly raise the banner of metal music with vigor in every land. In life, there are two kinds of people: those who crave attention and those who receive attention. Then again, there are others like me who relish the freedom of drifting peacefully on the silent backwaters of life without any interruptions, minding one’s own business and left to feed our indulgences. Then, you have a baby and boom! — the limelight doth shine ever so brightly upon the bundle of joy produced from your own loins. This, however, is not a bad thing, particularly when living in Bangladesh. In fact, it can provide the perfect diversion to maintain a low profile while appeasing the teeming masses of curious passers-by wishing to lay their eyes on a blonde-haired, blue-eyed baby for the first time in their life. Babies — the perfect fashion accessory to complement any occasion, especially in a culture that unequivocally adores infants. Admittedly, this rigamorale became annoying several months into our first jaunt back in 2002, so I was preparing my stoic defenses for these moments well before our return earlier this month. Turns out, I had absolutely nothing to worry about. When you have a baby in tow, you can feel safe betting every dollar and asset you own that he or she will become the center of attention in any situation, capturing the hearts and minds of people all across the country. 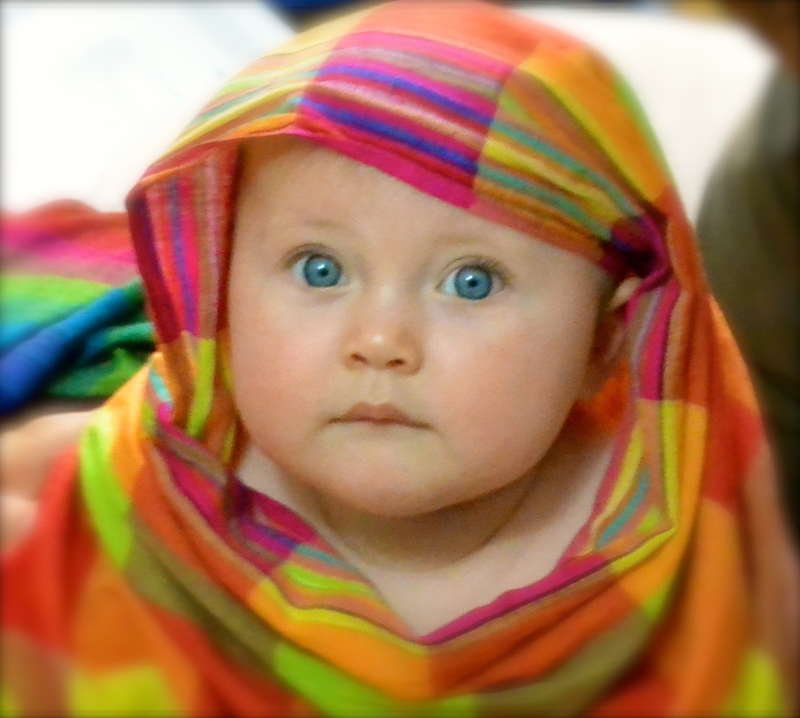 Meet my baby daughter Gemma — the Heir Apparent Bideshi Queen of Bangladesh. Much has changed since the last post on this blog. San Francisco gifted away the Super Bowl in February, breaking my drunken heart on our nation’s grandest of holidays; Major League Baseball’s spring training has given way to the 2013 regular season, though yet again, somebody forgot to tell Mike Scioscia and the Los Angeles Angels that these games in April count; oh, and I think NBA basketball is still going on somewhere. The biggest change? My family and I have recently moved halfway across the world to the global mecca of population density — Bangladesh. I come here firmly entrenched on my lovely wife’s coattails for a refreshing change of having too much time on my hands to waste on writing blog posts, suckling on the teat of the gravy train alongside my infant daughter as we both rely on ol’ mom to provide our proverbial daily bread. While she slaves away as an international aid worker, I’m left to dwell in an apartment that has quadrupled in size from our measly abode in Washington, DC, while I am in charge of changing a few diapers and administering liquid and solid nourishment to our seven-month-old daughter. So, contrary to the American doctrine that existence beyond its borders is tantamount to living amongst hellfire and brimstone, life is good. With this, the scope of this blog will change somewhat, so I apologize to the one or two followers out there. Initially, I thought of launching a new travel blog to write about the new misadventures in Bangladesh and beyond, but figured that was too much work and a likely waste of purchasing an additional domain. What does this mean? It really means that the sights have broadened from slamming so-called sports heroes and toasting good eats in ‘Murica to examining perspectives on political dysfunction in both the U.S. and my new home, which share some alarming similarities. I shall also chronicle the day-to-day events here, which typically amount to about a month’s worth of “excitement” in the U.S. wrapped up in the course of 24 hours…24 hours of mind-boggling bewilderment. Oh, and I’m sure I’ll write about food at some point (like, all the time). 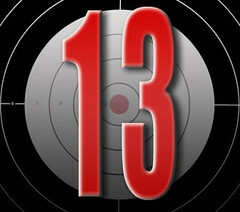 So if you’re still reading, I promise to continue delivering sub-par material with a slight change in subject matter. Bishmillah rahman-er rahim, amen. (Yes, Facebook friends, I re-used the photo. Sue me).